His contribution to the country's art is priceless. His service is everlasting and it is unforgettably carved in Sri Lankans' hearts. S A Dissanayake, an outstanding artist who has done much to enrich art in different forms, is still engaged in working on his aesthetic pieces. A children's book of Dissanayake, 'Yodhaya saha Pandithuma' was launched recently at the Mahaweli Centre with the participation of many artistes and professionals of the field. 'Yodhaya saha Pandithuma' is a book written for children to entertain them while teaching them lessons about life. The book is in aid for the Children's Uplift Programme (CUP) which works towards upgrading the lives of underprivileged children of the country. The entire income of the book will be directly forwarded to the CUP for its work done for the children. CUP is entirely a Sri Lankan organization which has been conducting many projects to help children all over the country. it has built plenty of libraries for children, it offers scholarships to encourage children who are talented but poor and it provides computer literacy for children those who do not have much access. Through their work they have uplifted the lives of many children in Sri Lanka. Commenting on the book, Prof. Ariyaratne Athugala said: "S A Dissanayake is an outstanding artist whose works have been much appreciated. His exceptional drawings and picture stories impress almost every one despite of the age. In my personal experience, I remember clearly those days we loved pictures than letters. They gave us many ideas and we were educated through them. Stories based on pictures and lines taught us many things about life. Especially cartoons are very impressive and attractive. To understand cartoons, nobody needs to be proficient in any language. It depends on the artistic ability and the meaning behind it." He further said that the cartoon art is one of the most powerful art through which both children and adults can be educated and it should be widely spread within schoolchildren in a positive manner. 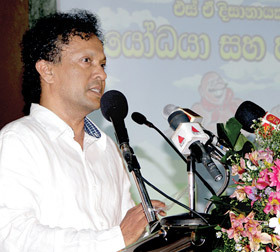 The cartoon artistes should understand the children's mentality well, as Dissanayake does. Dissanayake is one of the best artistes who has educated society through his art. 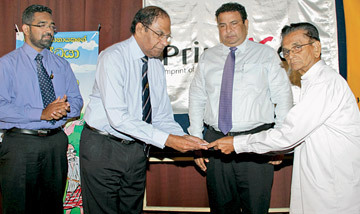 Dissanayake has created about 21 popular cartoon characters in six decades. He is a teacher by profession. He has worked for newspapers for a long time. Even today, he works for Mihira and Nawayugaya.